The internet is a big place and it’s growing every day. There are now over a billion websites online. With so much competition, it’s easy to think you can’t compete. How can you possibly stand up to so many long-established websites? The truth is … there are a few strategies you can implement today that will, over time, take your search performance to the next level. Keep reading for a closer look at 10 ranking factors that can give your next SEO campaign a much-needed boost. The web is built on words. As important as images and video are online, words form the internet’s metaphorical backbone. Solid, useful content should form the foundation of your SEO campaign strategy. As valuable as the rest of this list is, if you’re not starting with great content, it’ll be tough to get your SEO off the ground. Your website’s content lends structure and context to the keywords and other elements of your website. So make sure you don’t skimp on this vital SEO factor. Content will literally make or break your SEO efforts. Now that most people are using mobile devices to search for just about everything, it’s more important than ever to make your site mobile-friendly. Google has been using mobile design as a ranking factor for some time now. While many websites already meet this important requirement, make sure yours is up to speed as you work to optimize your SEO campaign. If you want your content to rank and do well in the search engines, your pages need to be optimized for speed. Page speed is another major ranking factor with Google and the other search engines. There are a number of things you can do to improve page speed including optimizing images, using a CDN, minifying code where possible, or simply choosing a faster hosting provider. If you’re not sure how fast your pages are, check out Google’s Page Speed Insights. Another way to improve your search rankings is by improving the user experience of your website. 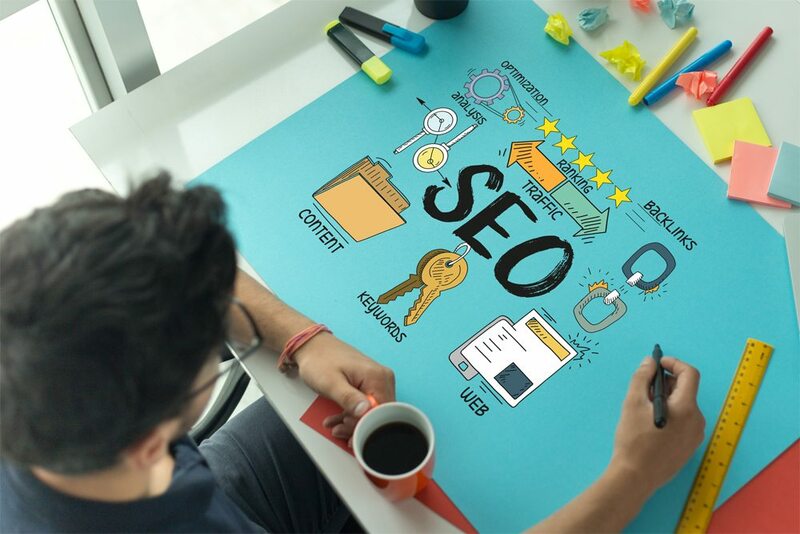 While user experience might not seem like something to focus on as you develop an SEO campaign, it actually affects your search performance in a number of ways. If visitors can’t properly navigate through your website or are not clicking where you’d like them to click, they’re not getting the best experience. Click through rates and time on page are important search ranking factors. Whether you’re running a blog or an e-commerce website, security is important. Not only does it put visitors at ease, it’s also an important ranking factor. This is a fairly simple one to implement. All your website needs is an SSL certificate which will allow you to add the all-important https to the beginning of your webURLe’s URL. Most browsers–including Chrome and Firefox–now label websites without https encryption as unsafe. Duplicate content can put a major damper on your SEO. If your website has been around for a while, there’s a chance you may have duplicated some content at some point. Consistent blogging raises the possibility of this along with website updates. Duplicating content, whether in full or in part, is easier than you think. Try performing a content audit to see what you have, don’t have, or might have duplicated. Like it or not, backlinks are still a major–if not *the* major–ranking factor. But not all links are helpful. While there was a time when links were relatively easy to get and the quality of sites linking to yours was not a factor, quality is now very important. More links definitely help, but they must be from authoritative domains. If you haven’t worked on getting backlinks before, now may be the time. Good links are not easy to get, but will really pay off in the long run. As things like voice search, Google Maps searches, and local SEO become increasingly important, posting accurate, verifiable location and contact information is more important than ever. If your business has a physical, local presence, it’s important to make that information clear and easy to find on your website. As you work on your next SEO campaign, take stock of your contact information and see if there’s a better way to convey it. Another important search factor for local SEO is your business’s physical distance from searchers. If you want to perform well in a specific area for searches like, “plumbers in Dallas TX,” you need to have physical location details on your website. Just as your contact information and location are important for finding the actual location of your business, they’re also key to searches near your actual location. If you want to rank for specific keywords–long or short–it’s important that your content is highly relevant to those keywords. There was a time when poorly written, keyword-stuffed content could rank well, those days have come and gone. If you want your content and website to be found, what visitors find must match their expectations. Clearly structuring your pages helps here too. Using relevant titles are a good indicator to both Google and users what your page is about. Using H1 and H2 tags for titles will also really help search engines understand your pages. No one ever said SEO was easy. If you want to perform well in search results, you have to stay on top of the ever-changing nature of SEO. While you can’t focus on every little detail, you can stay up to speed on the industry and your competitors and tackle the different factors as you’re able. If you need help taking your SEO campaign to the next level, get in touch with us. We’re here to help.